Find all the latest interesting information about this unique resort. We are delighted to announce that Kagga Kamma is the proud winner of the Lilizela Tourism Award in the 4 Star lodge category for the Western Cape. The Lilizella awards recognize and reward tourism players and businesses who work passionately and with pride to deliver a world-class product and service. Kagga Kamma makes every effort to deliver great service on all areas. We are thrilled to announce that Kagga Kamma was awarded the Certificate of Excellence Award. Thank you to all our guests who took time to rate our services. 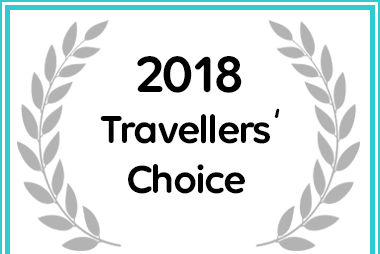 Kagga Kamma Nature Reserve has won a 2018 Afristay Travellers' Choice Award, being rated as one of the top accommodation destinations in the Western Cape. Kagga Kamma Nature Reserve in Cape Town received an award for Travellers' Choice 2018. We are thrilled to announce that Booking.com presented us with the Guest Review Award for 2018. In recognition of outstanding achievement in Cleanliness, Location, Facilities, Comfort, Value for Money and Exceptional Staff. We are delighted to announce that Twisht has awarded Kagga Kamma Nature Reserve a 2018 Global Experience Award for achieving a guest satisfaction rating above 80% on all major websites! The unique location of Kagga Kamma Nature Reserve, along with our passionate staff and great service, has resulted in highly regarded industry awards.